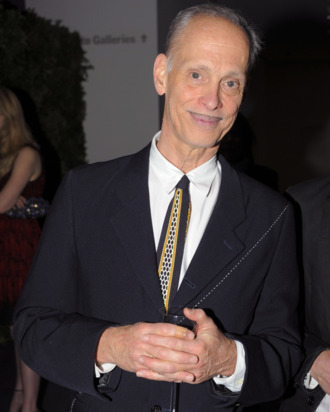 Count John Waters among the defenders of Christmas music before Thanksgiving. Last night at MoMa’s Chanel-sponsored Tribute to Pedro Almodóvar, we asked him what song has been stuck in his head lately, and he went straight for the holiday tunes. “Justin Bieber’s Christmas album,” he told us. “I sing it all the time and play it. His rap, ’Little Drummer Boy’ — I’ll be singing it on the subway going home tonight.” Congratulations, then, to the lucky people who witnessed John Waters rapping the lines “Playing for the king / Playing for the title / I’m surprised you didn’t hear this in the Bible” on the train last night. Is it too much to hope for a Bieber-Busta-Waters Christmas special?